Marco LoVerso’s primary research and teaching interest is the novel, with particular focus on the rise of the English novel in the eighteenth century. 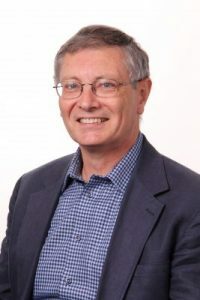 He has published and delivered papers on eighteenth-century English writers Laurence Sterne, Samuel Johnson, and Charlotte Lennox; and on contemporary Canadian novelists Adele Wiseman, Robertson Davies, and Margaret Atwood. He has also maintained a strong interest in the literary essay and in the teaching of writing and has developed courses in essay writing and in creative non-fiction. During his initial years at Concordia, his career was dedicated to full-time teaching and to the development of the English program. In 1985, he began assuming administrative assignments: nine years as Coordinator of the English Department and Chair of the Humanities Division, two years as the Acting Dean of Arts and Science, and one year as the Coordinator of the institutional self-study. From 2005 to 2013 he served as Dean of Research and Graduate Studies.